Last year, Millennials (roughly ages 19-34) overtook Baby Boomers as the largest living generation and becoming the hottest target market for many products, including tourism. 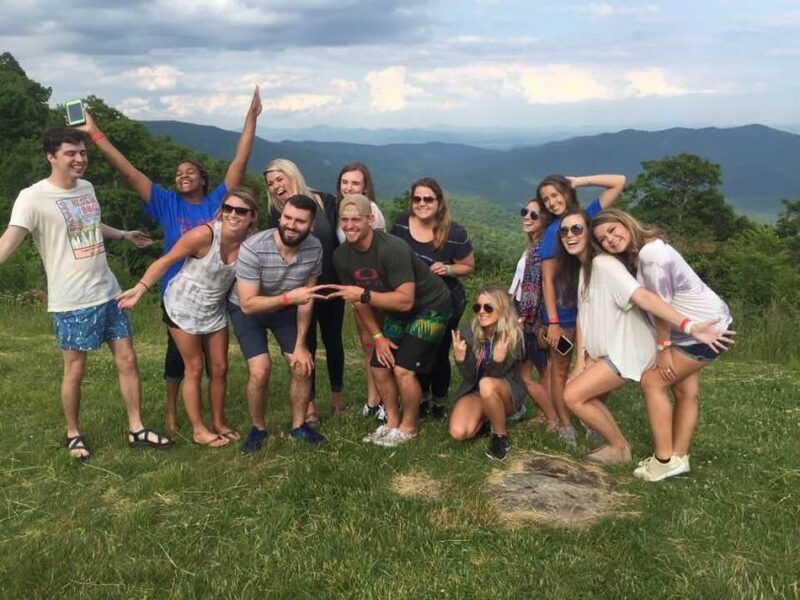 Last summer, Professor Marsha Loda and 13 hospitality and marketing students completed a week-long “Study Away” trip to western North Carolina to dissect Asheville as a tourism destination and Millennial magnet. While Asheville is considerably smaller than Augusta, it attracted nearly $2 billion in visitor expenditures compared to Augusta’s $366 million. Recently, Asheville has been awarded multiple tourism accolades including #3 Best Small Town to Visit in the USA by the U.S. News and World Report’s, #10 Best City in the USA by Travel + Leisure, and #1 Travel Destination for 2017 by the Lonely Planet. During the study away, Hull College students examined several questions as to why Millennials flocked to Asheville. As such, Hull College students completed 48 face-to-face interviews with Millennial tourists in Asheville, and they asked visitors four big-picture questions: (1) why did they come to Asheville, (2) what word would they use to describe the city, and (3) what did they like best and (4) least about the city? They often heard words such as “accepting,” “hippie,” and yes, “scenic.” But after analyzing the qualitative research sample, the #1 reason Millennials came to Asheville was to visit friends and family, a frequent #1 answer in tourism, or for its reputation as “Beer City USA.” The words most frequently chosen to describe Asheville were “unique and different.” What they liked least about the city was “nothing;” what they like best were the quality of beer, food available and Asheville’s residents.